Zain (Zayn) Javadd Malik was born in West Lane in Bradford in North Yorkshire on January 12, 1993 and is 1/5 of the band One Direction. Zayn has 3 sisters, Doniya, Waliyha and Safaa, and his parents names are Tricia and Yaser. 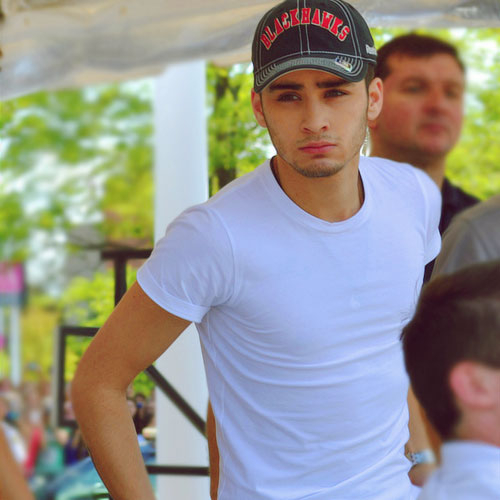 Zayn was raised in East Bowling, just south of Bradford and attended the local comprehensive school, Tong High School. Zayn came to The X-Factor UK in the shows 7th series in 2010. Zayn’s original audition of Mario’s “Let Me Love You” was not originally broadcast during the audition stages, but was shown during Xtra Factor after the audition stages had ended. It wasn't until the boot camp stage of the show that viewers really got to see Zayn, that's when he refused to join a group of fellow contestants on stage to show off their dance skills in front of Simon Cowell, Louis Walsh, and dance choreographer Brian Friedman. Zayn was worried about dancing in front of a professional choreographer and alongside other contestants who, in his eyes, were clearly better dancers than he was. Zayn was eventually persuaded by Simon Cowell to go on-stage and participate so he wouldn't ruin it for himself. 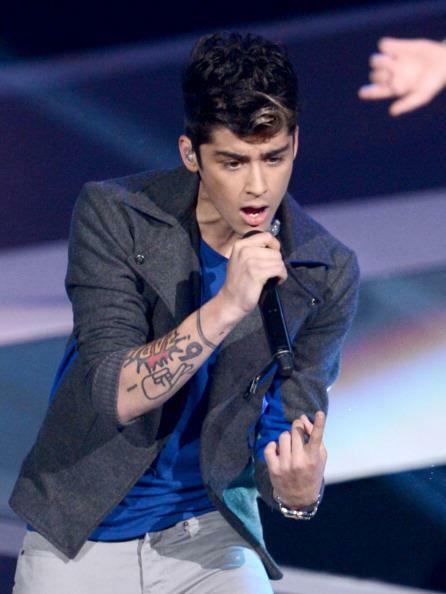 Upon completing his task, Zayn said that he needed to concentrate on his dancing. Zayn was later rejected at the boot camp stage of the X-Factor but was invited to join fellow boy contestants Louis Tomlinson, Harry Styles, Liam Payne and Niall Horan in a group. Since coming in third on The X-Factor, Zayn has experienced a large change in his life going from a shy guy who minded his own business to now having every aspect of his life watched by the media around the world. One of those would be his love life, he dated fellow X-Factor finalist Rebecca Ferguson until July 2011. Today he is in a relationship with Perrie Edwards from the UK girl-group Little Mix. Despite being in the spotlight, Zayn remains the same shy guy with great values that he was before The X-Factor, except now with a much more "bad-boy" type image. He loves to draw cartoons and has collected comic books all his life, a hobby that is now represented by his "ZAP" tattoo on his right forearm. That tattoo is one of many that Zayn has got since One Direction's worldwide success, he also has a microphone, a Yingyang symbol, a Arabic quote, a fingers crossed sign, and others with each one having a special meaning to Zayn. "In life we give and we take, let me tell you, you will never get as much as you give." "In life we always fall for the person that will never fall for us always want something that we can't and always say things we shouldn't." "Enjoy life, it has an expiration date." Zayn has a tattoo on his chest which says his Grandfathers name, in Arabic. If he wasn’t in the band he would be an English teacher. Zayn‘s YouTube account goes by the name of ‘bradfordboizayn‘. He does funny dancing when he is drunk! He can play the triangle. He wants to quit smoking because he knows the fans don’t like it. Louis describes Zayn‘s body as ‘hot and spicy’. Zayn wishes he could swap voices with Niall. He likes girls who are intelligent. Once he mimed ‘hello’ through the car window to a fan and she passed out! He wanted the album to be called ‘Zayn and the Boys’. Zayn once ate Niall last chip and he tried to eat Zayn‘s hand as punishment. He doesn’t like his lips. He is a cuddling sort of guy. He had his first kiss when he was 9! If Zayn was a girl he says that he’d date Liam. He used to eat paper when he was younger. His favourite food is chicken. His ideal kiss is on a roof under the moonlight. He cries watching chick flicks! His secret talent is drawing! He bites his lip when he’s nervous or hiding something. He used to write songs for his girlfriend. His favorite song is Thriller by Michael Jackson. He loves girls with the name Emily. He takes a mirror everywhere with him! Zayn thinks the best part of a girl is her eyes. His favorite date is dinner and a movie. He always sticks his tongue out when he’s tweeting. He always brushes his teeth before a concert. If he thinks a fan is cute, he’ll bob his head next to her in pictures! His first job was a waiter at a family restaurant. He has a bad habit of scrunching his nose and making his eyes really small while laughing! He likes girls with a nice smile.